The Academy has announced the complete list of 2015 Foreign Language Oscar contenders for the 2015 Oscar awards and again its a new record, topping last year’s record 76 submissions, this year the list reaches 83 total submissions. Kosovo, Malta, Mauritania and Panama are first-time entrants. I’ve seen a few more on the list than I did last year and I actually have to assume with the buzz from those I’ve seen they may end up being major players. I’m particularly happy to see Xavier Dolan‘s Mommy in the field from Canada and it’s great seeing the hilarious Wild Tales submitted by Argentina. The Russian submission of Leviathan (Leviafan) came, I think, as a bit of a surprise to everyone considering its subject matter, which could be looked at as critical of its native country. The Dardennes’ Two Days, One Night has received a lot of acclaim everywhere it has played and we also have Cannes Palme d’Or winner Winter Sleep from Nuri Bilge Ceylan to consider. I’ve included the complete list directly below and will continue to track the contenders along the way right here as we can expect the shortlist of eligible titles near the end of December. 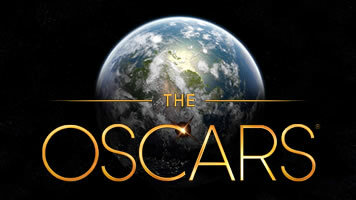 The 2015 Oscars will be held on Sunday, February 22, 2015, at the Dolby Theatre® at Hollywood & Highland Center® in Hollywood, and will be televised live by ABC.